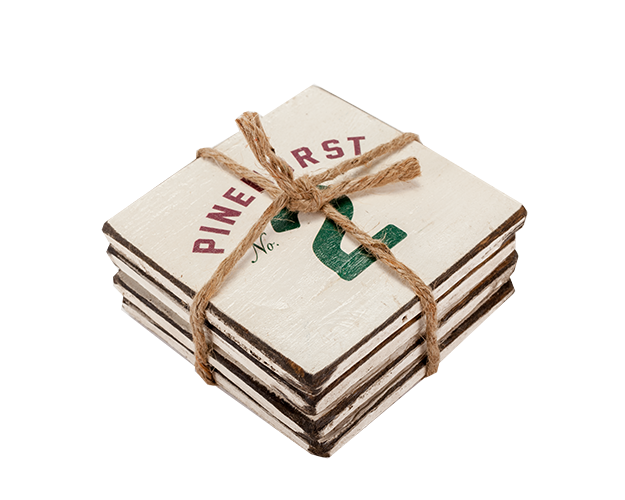 Hand painted wooden coaster set of 4 featuring the Pinehurst No. 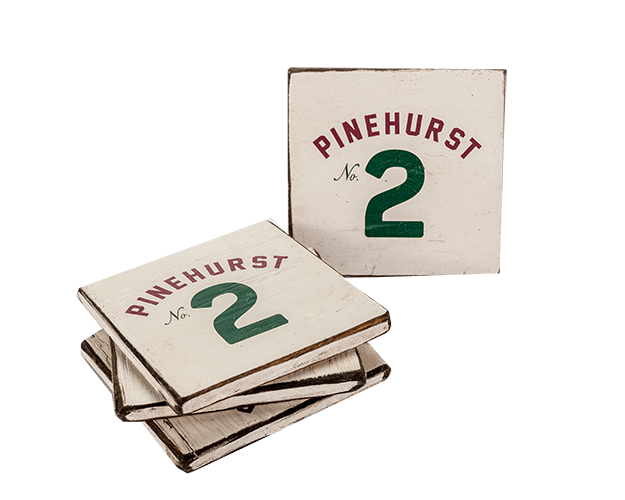 2 logo. Made by Signs by the Sea.